In-Water Photographer of the Year is photography based under and in the water. If you are snorkeling in the shallows, surfing your local reef, swimming in open water or your local pool, freediving the depths, out spearfishing for a sustainable supper. If you find you’re in-water with just a camera in hand, no tank or other gear in the way, then you qualify to participate in the next In-Water Photographer of the Year. This competition is for the new breed of photographers, an emerging populace, young and old to join in who own a waterproof camera and thats it. You enter the water with minimal of gear to capture the photos as you see fit. PRIZE DETAILS: £200 for overall winner Not eligible to enter? - Find contest where you are. f) on social media used by IWPOTY, its sponsors and supporters. If an image is short-listed, the photographer is asked to supply an extended caption for that image. This caption will be subject to the terms above. 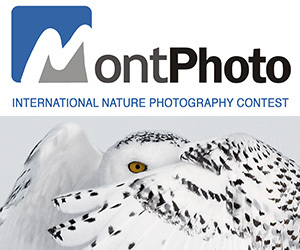 Entrants also agree that IWPOTY can sub-license images to the media and to the Competition’s sponsors and supporters for reproduction in connection with the Competition. Images used on merchandise commissioned by IWPOTY will be discussed individually with the photographer concerned and a separate agreement made. Entrants, whose work is commended or above, agree to take part in post-Competition publicity and agree to the use of their name and likeness for this purpose without compensation. 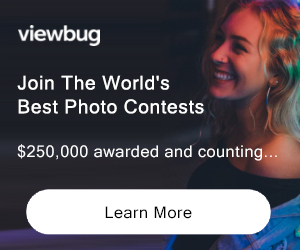 IWPOTY will remove any entries from the competition that it feels may breach or contravene laws of public decency or may bring the photographer, the Competition, IWPOTY or any of its sponsors into disrepute. Such entries will be deemed as void and any fees paid will not be refunded. IWPOTY will remove any entries that appear to have been taken by a member of the public handling or moving underwater objects for the sake of the image. Such entries will be deemed as void and any fees paid will not be refunded. The decision of IWPOTY on all matters relating to the competition is final and no correspondence will be entered into. Should the entries in any category fall below the standard required by IWPOTY and the judges, then IWPOTY reserves the right not to award prizes. All images must be uploaded, via the IWPOTY website, following the on-screen instructions. By accepting the Competition Rules and subsequently submitting your images, you have entered into an agreement with IWPOTY. Images cannot be withdrawn or amended after the close of the competition. Any queries, please email us.